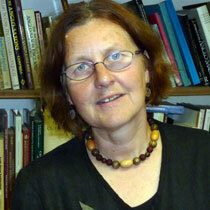 The School of History, Philosophy and Social Sciences is delighted to announce that Professor Nancy Edwards (Professor in Archaeology) has been appointed Chair of the Royal Commission on the Ancient and Historical Monuments of Wales - the first female chair for the first time in its 110-year history. The Chair is appointed by HM The Queen, on the advice of the Welsh Government and the Secretary of State for Wales, under a Royal Warrant. The Royal Commission on the Ancient and Historical Monuments of Wales is the unique, independent national archive and investigation service for Wales, dedicated to the authoritative recording and interpretation of our rich historic environment.